Call AVATAVA at 1-888-551-6879 ext 1 or request a free Hosted PBX consultation here. 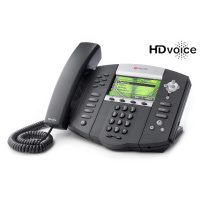 A hosted VoIP PBX solution is reliable and cost efficient. Seamless upgrades and changes help you expand your business without delay. Your Hosted business PBX provides measurable savings, improved reliability and convenience, while increasing your mobility options. A hosted VoIP system offered by AVATAVA handles many tasks freeing you and your employees to focus on productive activities while reducing your overhead. Work with less expensive Business DSL instead of dedicated T-1s. No service interruptions due to equipment failures-- our redundant systems handle it all in the background. Connect all your offices together as a unified system without the need for capital outlays-- simply add the phones. Start your Hosted VoIP PBX service by calling AVATAVA at 1-888-551-6879 or request a free Hosted PBX consulation.